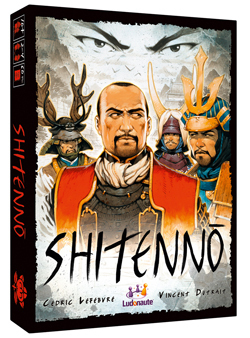 Shitenno is designed by Cédric Lefebvre whose previous games (Yggdrasil and Offrandes) have been really good. Shitenno is a game set in feudal Japan which mixes a you-cut-I-decide mechanic with area control. 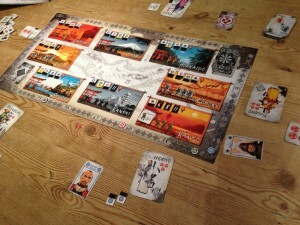 Each round, 2 troop cards and 1 income card per player are drawn face-up – the first player in turn order is the Tairo who selects any number and mix of the cards and offers them to the other players (in turn order) along with one of the 4 role cards. A player can accept or refuse the offer – if a player accepts, they take the cards and role and can not accept any more cards that round, then the Tairo selects a new mix of cards and a role to offer to the remaining players who have yet to accept an offer that round. If no other player accepts an offer, the Tairo must take the cards and role themselves (and the next player in turn order who has not accepted an offer becomes the Tairo). 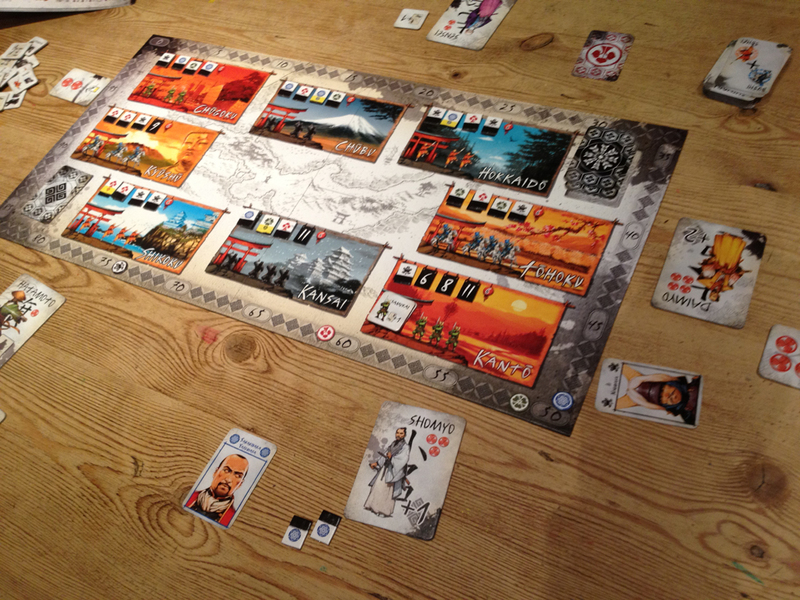 Once each player has accepted some cards (the final player to accepts all that remains), the players now claim areas in turn order which is dictated by the role cards they received (and the roles also give other special abilities too).